After personally evaluating each of the “Top Best SEO Optimized WordPress Themes in 2018”, I have decided to give a freelance writer’s opinion on each of them. They say that everyone is certainly entitled to their own opinion, and although I am an actual search engine optimizer, I’d like to think that my opinion may be considerably valuable to the members of the online world. Those who can appreciate good comments and constructive criticism regarding products such as computers, other electronics and other various tools, that can be used to make the use of a certain product, more enjoyable or more have the results of that product, a bit more productive. created by Elegant Themes. It appears that Divi 2.4 has a huge variety of different features that would definitely be appealing to web designer, because when building a website, who wouldn’t want to make sure that all of the options available are put in place. Divi 2.4 offers a variety of different drop-down menu choices such as, page layouts, headers, theme options, as well as elements. It also has drop-down menus for portfolios, blogs and shopping. These type of options are for the advanced user. Needless to say, it appears that you could have the ability to create the BEST website featuring the most comprehensive options, which is guaranteed to catch anyone’s eye that, has a half of a brain and knows a good site when they see one. 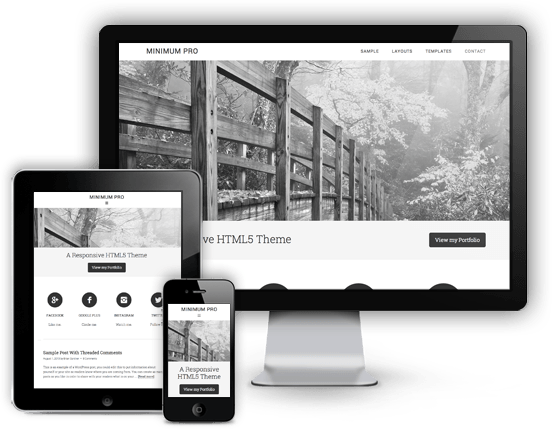 Moving on to The Minimum Pro Theme(which is named perfectly),created by StudioPress according to the site that advertises a low price of $99.95 for the Minimum Pro Theme, as well as the framework, they say “create more with less”. There is very little writing space for most of the page, however at the bottom of the page, there is different posting abilities such as, left and right aligned images, threaded comments, the ability to post with a variety of headlines, all with a dramatic impact and very little technical assistance, hence the name Minimum Pro. Personally, I appreciate the technical stuff about websites because if everyone knew how to make the dramatic impact, with little effort, the way this web designer does, then eventually I think web designers wouldn’t be employed for much longer because there won’t be any work for them because everyone is choosing the easy way out. Perhaps that could be one of the reasons that it made the top 5 of 2015. Kinda makes you wonder what’s in store for 2016 best sites, doesn’t it? Thesis.It turns out that the WordPress users LOVED IT! with the boxes, that are kind of like widgets, or layout elements. You also get variables, but apparently they are only useful to the programmers. None the less, Thesis is responsive, and is a design that anyone can use. 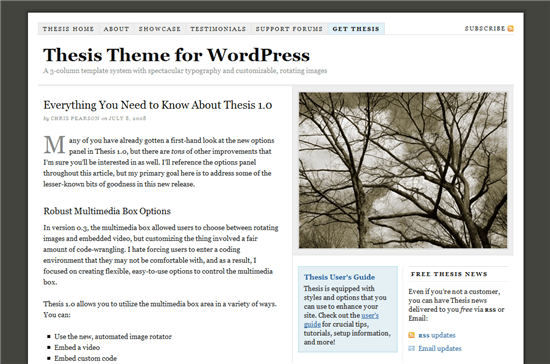 Apparently Thesis “is like the Windows mobile or Nokia phone of WordPress”. Used a lot with the plugin WP e-commerce, it is often used to create online stores when combined with Instinct Entertainment,resulting in an online store that is SEO optimized, feature packed and geared for sales. You can create a gallery view store or a standard view store, in my opinion, either is a a lot of bang for your buck. Thesis allows you to a lot of thing other WordPress sites can’t do, so that right there is one of the reasons its probably in the Top 5 Best WordPress Themes of 2018. It allows drag and drop customization, has the built in SEO optimization and is guaranteed to help boost your rankings. Surprisingly enough, it ranges in prices from $87.00 US for the basic package to $197.00 US for the professional package and also offers $164.00 US for the basic plus package. So with that type of affordable pricing, who wouldn’t want to create a web store with Thesis, especially when it guaranteed to boost your rankings!No wonder its ranked as #3! That being said, this what I felt about #4.It is created by Studiopress, and it is called Eleven40 Pro Theme. This theme is also advertised for the low price of $99.95 with simple structure to the site, however, not quite as Minimal as #2. SOCIETY IS USING THE SITE BECAUSE OF THE PRODUCT THAT’S BEING OFFERED, NOT HOW IT LOOKS OR WHAT FEATURES ARE ON IT. Nonetheless with the drop-down menu that is at the top right, and a main menu to the left and a main picture to catch your eye, this site could definitely grasp your attention….just not for long. It makes you wonder what #5 has to offer us? #5 is called Schema from myThemeShop. 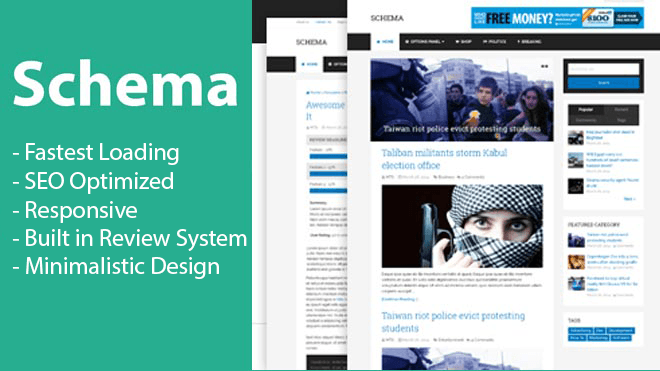 Schema is “the fastest loading, ultra-SEO-friendly WordPress theme”. Just the fact that it is ranked so high in Google should definitely say something about it. It has a special price of $45.00 US, which is marked down from $69.00 US. 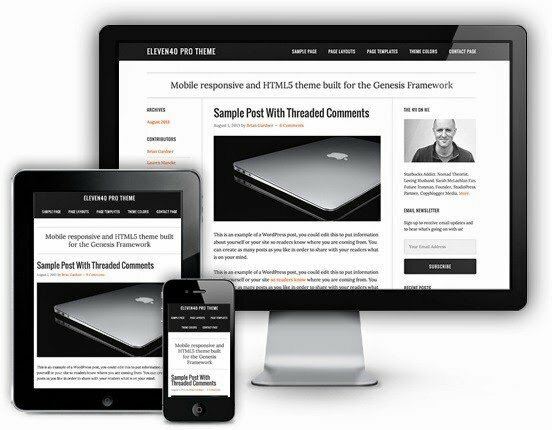 You can customize and use MyThemeShop themes on more than one site, as last but not least, you can get all the support you need from the support forum, which is the main method of support. All of the above website looked quite decent when I was reviewing them, but if you are someone who doesn’t know the web design mumbo-jumbo language, then more than likely this article will be of absolutely no use to you unless you have a dictionary beside you or the next tab open to an online dictionary. In the even that you couldn’t get one, I guess the computer illiterate individual would be up s*it creek without a paddle! Again, I have to ask…what’s in store for the best of 2016?